I linked with Cyte a minute ago when he reached out about getting some beats from me. I checked out the stuff he already had on tap which was dope so we started going back and forth about him rocking on some of my beats. The more that me & Cyte chopped it up, the more I started cooking up fresh tracks for him. And since dude was so dope, I also pulled in my dude Truss into the mix to bless Cyte too. 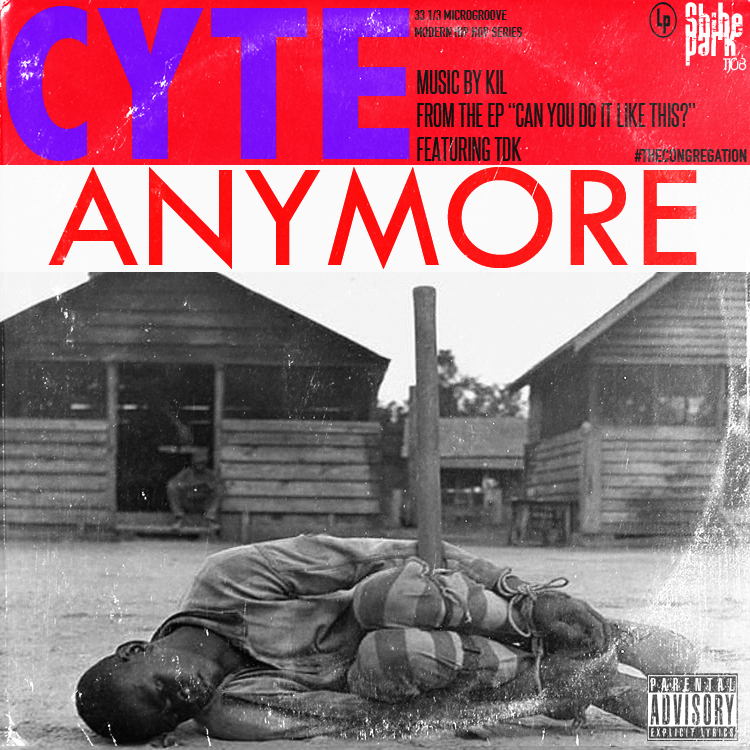 But once we had a good 5 beats set aside for his EP, Cyte came through the crib and banged them all out in one day! But the day before he came down I cooked up this track and I wasn't hoping he'd be able to rock with it & of course Cyte had the perfect rhyme already written for it! Now I ain't gonna hold you, 99.9% of the time I NEVER use a sample from a song that EVERYBODY knows and loves but for some reason for the last two weeks I kept hearing Rose Royce's "Love Don't Live Here Anymore" over and over AND over again so I figured...what the hell? And with all of that said, now you've got Cyte's first banger #Anymore featuring my wife Tee off his EP "Can You Do It Like This?" dropping next month!